Vista is the complete make-over version of the hatchback car - Tata Indica. Explore features and specifications of Tata Indica Vista (Aqua, Terra and Aura), with this review. 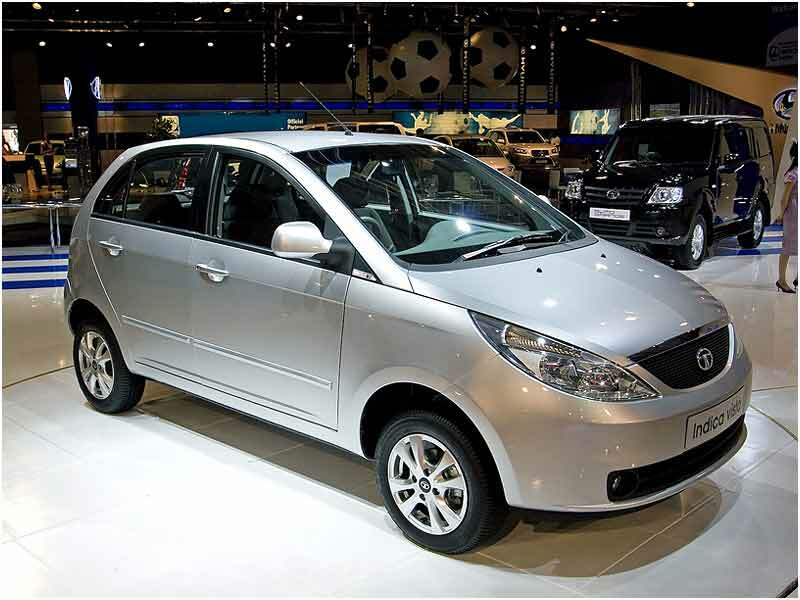 Tata Motors launched Vista, the next generation car in the Indica series, in August 2008. 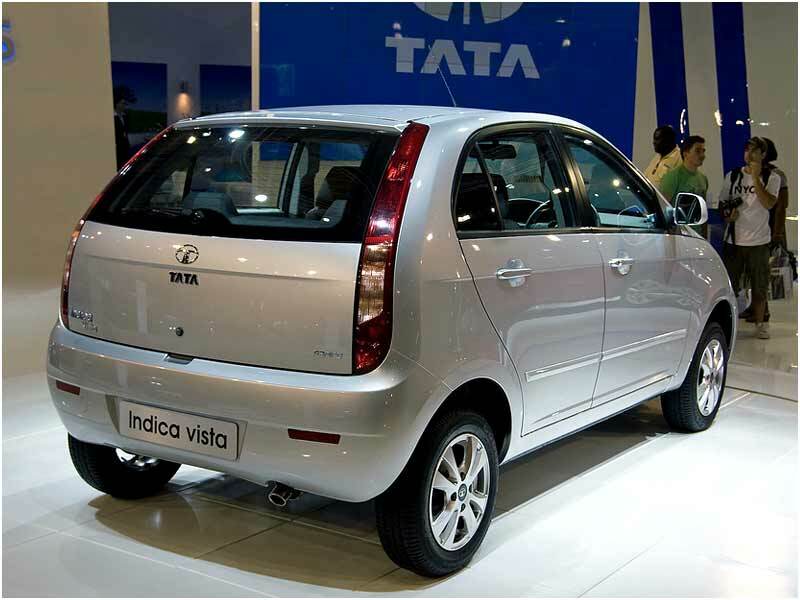 Vista is nothing, but the revamped version of the Tata's first passenger car - Indica. The automobile comes with refreshing looks, capacious interiors and attractive exteriors. State-of-the-art technology has been used in its engineering. Tata Indica Vista truly fulfills the needs of those Indian buyers who expect their cars to be spacious, stylish, and graceful. The petrol-driven models of Tata Indica Vista are powered by 1.2L CVCP Safire engine, which produces a maximum power of 65 bhp 5500 rpm and torque of 96 Nm @ 3000 rpm. The two diesel variants of Tata Indica Vista are 1.4L turbocharged inter-cooled TDI engine and 1.3L Quadrajet Common Rail diesel engine. With 71 bhp @ 4500 rpm of power, the TDI engine delivers a maximum torque of 135 Nm @ 2500 rpm. The Quadrajet engine delivers a higher torque, of 190 Nm @ 1750 rpm, and churns out a power of 75 bhp @ 4000 rpm. All the engines of Tata Indica Vista have five-speed manual transmission. The contemporary exteriors of Tata Indica Vista make a bold style statement. Adding to the beauty of the vehicle are its new central character line on the hood and sharp crease lines on the door below the beltline. The petal shaped headlights also look stunning. The 'trademark' smiling front grille and tall taillights make the car stand out from the crowd. A comfortable ride for five people is assured by Tata Indica Vista. 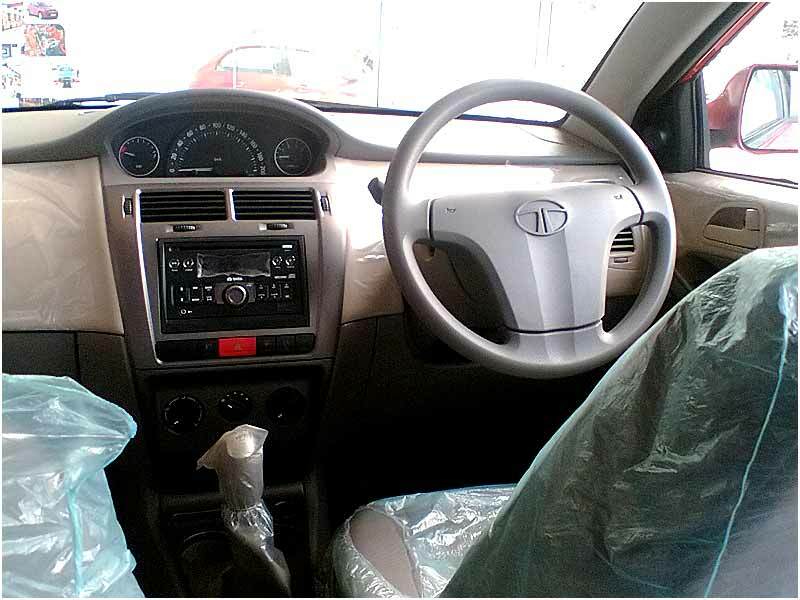 The dual tone grey and beige interiors of Tata Indica Vista are elegant and spacious. The instrument cluster is positioned in the centre of the dashboard. This enhances the in-driving passenger involvement and improves driving visibility. There is a utility space in the floor console under the seat. The deep glove box is spacious enough to store a number of small items. The driver's seat of Tata Indica Vista is height-adjustable, while the steering wheel is tilt-adjustable, ensuring an effortless driving experience. Transverse stiffness is enhanced by a sub-frame construction. A better ride, comfortable drive and improved handling are facilitated by the new twist beam suspension and gas-filled shock absorbers. High strength steel panels have been used in the body of the car, to enhance the bending stiffness. Although Tata Indica Vista is not equipped with safety features such as airbags and ABS (Anti Brake locking System), the vehicle offers a safe and comfortable ride for its occupants. Aqua, Terra and Aura are the three variants of Tata Indica Vista. Each of these three variants is powered by a different engine - TDI, Safire, and Quadrajet. Tata Indica Vista is available in a variety of vibrant colors, including cavern grey, infinity Black, Noble Blue, Arctic Silver, Solar Orange, Marine Silver and Gala Red. The variants of the automobile are priced between Rs 3.49 lakhs and Rs. 4.88 lakhs. Promising to deliver high performance with better fuel efficiency, Indica Vista provides an average mileage of 13-16 kmpl on petrol and 14-17 kmpl on diesel variants with manual transmission. Copyright © iWheels All Rights Reserved.